Choose 1, 2 or all 3 of our bestselling books. 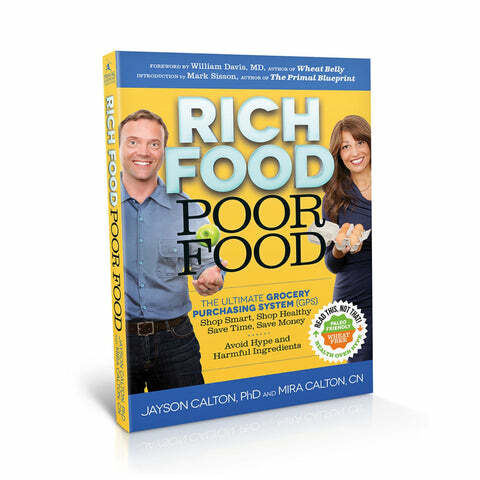 Click here to be notified by email when Calton Nutrition Books becomes available. Everything you think you know about your daily multivitamin, your exercise routine, weight loss and even your morning glass of O.J. … is about to change! Naked Calories reveals the naked truth about what you are eating and how your lifestyle habits may unknowingly be sabotaging your health. The secret lies in micronutrients, vitamins and minerals that are being stripped from your diet and depleted by your lifestyle. On the Caltons’ six-year global research expedition they discovered that modern practices such as global food distribution, factory farming, and food processing are creating foods filled with Naked Calories—calories void of any real nutritional value. The dynamic authors break it down to a simple three-step plan and teach you how to source better foods, eliminate unhealthy habits, and make choosing the best supplement as easy as ABC. Naked Calories, this decade’s Fast Food Nation, will help millions of people gain a new depth of understanding about how to maintain health in the 21st century. Do you get confused while poring over labels at the grocery store, trying to determine the healthiest options? What makes one box of cereal better for you than another, and how are we supposed to decipher the extensive lists of mysterious ingredients on every package, and then determine whether they are safe or toxic to your family’s health? With nearly 40,000 items populating the average supermarket today, the Rich Food Poor Food – Grocery Purchasing System (GPS), is a unique guide that steers the consumer through the grocery store aisles, directing them to health enhancing Rich Food options while avoiding health detracting Poor Food ones. Poor Food turns the grocery store and farmer’s market into a micronutrient pharmacy–filling the shopping cart with a natural prescription for better health and longevity. Our poor health and growing waistlines can be traced back to the hidden crisis of a micronutrient deficiency. More than 90 percent of all Americans are deficient in at least one of these health-promoting vitamins and minerals and don’t even know it. According to nutritionists Jayson and Mira Calton, micronutrients–vitamins and minerals essential for optimum health–are being stripped from our diet and depleted by our lifestyle habits. And these deficiencies cause today’s most common illnesses. Mira herself developed advanced osteoporosis at the age of 30. 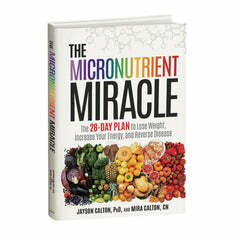 But with Jayson’s help, she reversed her disease through micronutrient therapy. The Caltons’ created The Micronutrient Miracle, an incredible cure-all program, to help you lose weight and prevent and reverse common disorders, including obesity, heart disease, and diabetes. The Micronutrient Miracle explains the truth about what you’re really eating and how your habits may be depleting essential micronutrients. It also provides an easy-to-follow 28-day plan to reverse these effects by restoring your depleted micronutrients. And the best part? This book is tailor-made to work with your lifestyle, including gluten-free, low-carb, low-fat, vegan, and Paleo recipes! Supplements: At Calton Nutrition your total satisfaction is our main priority. That is why we offer a 30-day unconditional money back guarantee (Shipping & Handling will not be refunded). This means you can try any of the Calton Nutrition brand supplements and if you are not 100% satisfied, for any reason, simply return it to us for a full refund with in 30-days. (excludes nutreince sample packs, see below*) But it doesn’t end there, we are so confident in the quality of our supplements that we are extending our 100% Satisfaction Guarantee and adding on an additional 70-day in-store credit policy. 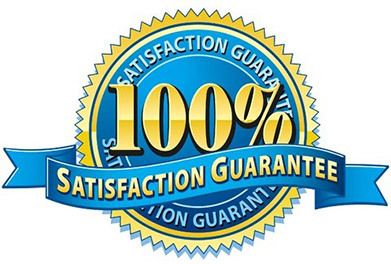 Meaning, even after the 30-day money back guarantee is over, if for any reason you are not completely satisfied within the first 100-days simply return your unused products to us for a full in-store credit. (please note: no cash/credit refunds will be issued after 30-days – only in-store credit. No in-store credit will be issued after 100 days from purchase date. Triple Threat Tornado Portable Mixer Cups, Books, nutreince Sample Packs*, SpectraCell Lab Tests, CMS Application Fee and Board Certification Packages: Sorry, there are no refunds on Triple Threat Tornado Portable Mixer Cups, books, nutreince sample packs, SpectraCell Lab Tests, CMS application fees or the CMS Board Certification Package. Customers/CMS/Retailers: To return an item, please contact our customer care department at thecaltons@caltonnutrition.com to inform them of your return. Then simply mail us back the item(s) you would like to return using USPS (United States Postal Service) and make sure the package does NOT require a signature. If we receive your authorized return within 30-days of purchase: we will credit you back your full purchase price of the item(s) (shipping/handling will not be refunded). 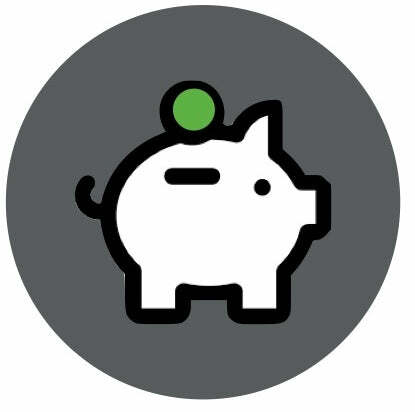 Refunds will be issued to the same credit card or PayPal account that was charged. If we receive your authorized return after 30-days from purchase: we will issue you an in store credit for the full purchase price of the item(s) (shipping/handling will not be refunded). No in-store credit will be issued after 100 days from purchase date. To exchange: Looking to exchange one flavor variety of nutreince for another? 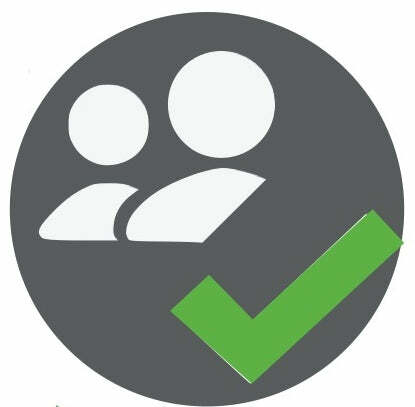 No problem, just contact us and we will walk you through the simple process. ALL RETURNS MUST BE SENT UNITED STATES POSTAL SERVICE (NOT UPS OR FedEx) AND MUST NOT REQUIRE A SIGNATURE – IF PACKAGE REQUIRES A SIGNATURE IT WILL BE SENT BACK TO YOU AND NO REFUND WILL BE ISSUED.